The Vented Finny features Wet. 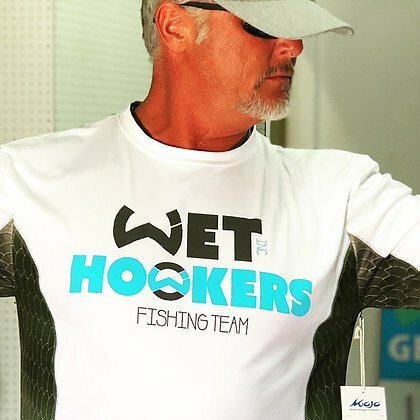 Inc “Wet Hookers Fishing Team” design and awesome side vents that include our finny fish pattern prints to give the shirt a fun new pop of color and style. The wireman material is moisture wicking, antimicrobial and stain-resistant and has UPF 30+ sun protection with cooling side panels. The design is catchy, featuring some of the colors of your favorite catches.